Launch the ActiveBarcode Generator and create the barcode according to your needs. If you need information of how to use the ActiveBarcode Generator click here. After creating the barcode you copy it into the Windows clipboard. To do this select "Copy Bitmap" or "Copy Meta" from the "Edit" menu (A description of the whole menu is located here). If you want to place a bitmap image to your document use the function "Copy Bitmap". You do this, if you need a barcode in an exact size. If you want to place a vector graphics to your document use the function "Copy Meta". You do this, if you want to freely resize the barcode in your document. The barcode will now be copied to the Windows clipboard and is available for nearly any application running on your system. The barcode image is now placed to into your document. You can handle this barcode inside your document as any other image (e.g. resize, move, etc.). The barcode has been added as image to your document. The images resultion has been set by you using the ActiveBarcode Generator. If you create the barcode in a low resolution (e.g. 200x50 pixels) and then print it to a printer with a high resolution the barcodes textline may look like it has a too low resolution and huge blocks are visible. This also happens when you resize the barcode inside your document to get it bigger. 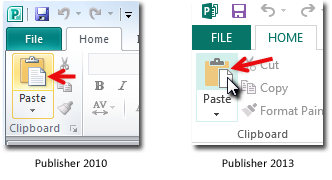 To avoid this you must create the barcode in a bigger resolution before you copy the barcode to the Windows clipboard. Then you paste the barcode image to your document and resize it to the required smaller size. Now the resolution of the image is higher and if you print your document the barcode will look much better!